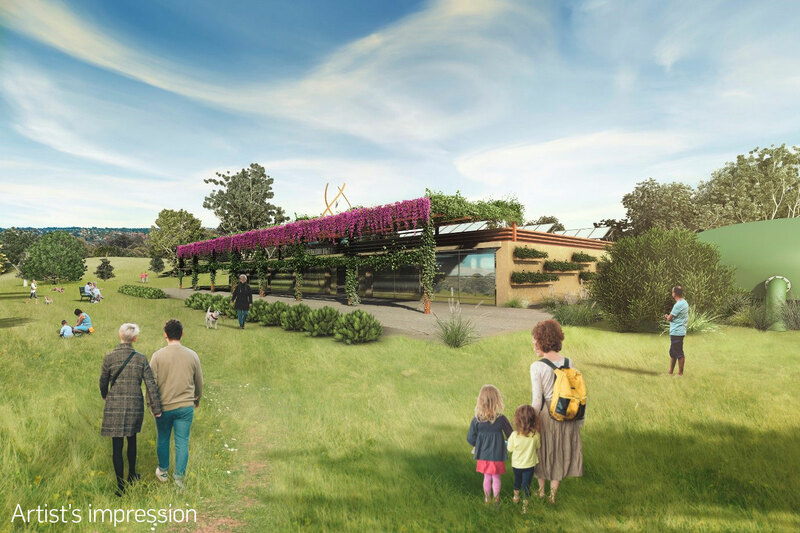 Yarra Valley Water is proposing a new Recycled Water Treatment Plant in Melbourne’s east. The Plant will deliver Class A recycled water to over 5,000 new homes, providing a drought-proof water supply that will save 2.5 million litres of precious drinking water each week. The water from the Plant could also be used to drought-proof critical community assets like parks and sports grounds. It’s an important part of our commitment to save precious drinking water for Melbourne’s growing population, in an increasingly hot and dry climate. In mid-2017, Yarra Valley Water appointed an Independent Panel to listen and gather community feedback about five proposed sites for the Plant. Throughout an extensive public deliberation process, the Independent Panel held 10 community deliberation sessions and heard from over 1,500 people. Taking into account all they heard, the Independent Panel has recommended Eram Park as the preferred site for the Recycled Water Treatment Plant. The Panel concluded that Eram Park was the most suitable site because it was the furthest from homes with the lowest impact to the community. It was also the most preferred by the most people who attended the deliberative forums. The Panel concluded that with sympathetic design and careful siting, the Plant could provide community benefits. The Panel also recommended that Yarra Valley Water consider locating the Plant underground. We appreciate that siting a Plant in an existing urban setting can generate concern for those living nearby and for the broader community regarding the potential loss of open space. Through the community consultation process, the Panel identified opportunities to address those concerns including how the Plant integrates with the landscape, which could potentially involve putting the Plant underground. The Panel has also raised the possibility of expanding recycled water supply to benefit more people in surrounding areas. Stage 1 of the project, which related to identifying the location for the Plant, was completed in late 2017. Read more about Stage 1 of the project. Work has progressed and with the support of our independent experts ARUP, we have completed the feasibility study investigating whether it is feasible to construct a treatment plant underground at Eram Park. The study indicates that undergrounding the treatment plant is technically possible. However, before any design decisions can be made we need to further understand the impacts of the North East Link Project. The timeline for the completion of this work is dependent on NELA’s design work and will be confirmed as the design progresses. Once we have the required North East Link design information, we will undertake further work to understand how the two projects can be integrated. We are continuing to seek information from Manningham and Whitehorse councils to identify a number of options for improving recycled water supply to critical community assets (parks and sportsgrounds). We are now assessing the feasibility of these options and considering how the community benefits from these options can be maximised. This work is progressing well and we’ll keep talking with both councils to get the best local outcomes. Further updates will be provided as work continues to progress. In accordance with the Independent Panel’s recommendation we’ve commenced a study to investigate the feasibility of constructing the Plant underground. This work is being done by ARUP who supported the delivery of the MCG water recycling facility, which has been successfully constructed underground in Yarra Park. We have also begun working with stakeholders to ensure we are able to maximise the benefits the project delivers to the local community. We have requested information from officers at Manningham and Whitehorse Councils to help us identify critical community assets that could benefit from expanding the recycled water supply network. We are also reviewing opportunities for us to deliver amenity improvements in and around Eram Park. We want to have a preliminary view of these opportunities and the feasibility of undergrounding the Plant by September 2018. We are working closely with the North East Link Authority (NELA) to understand the impacts of the proposed widening of the Eastern Freeway on Eram Park. This will help us to understand the potential for construction of the Plant to be undertaken in conjunction with NELA’s construction works, and for the design of both projects to be integrated. We will also be working to ensure that opportunities to enhance Eram Park are fully considered. What is the Recycled Water Scheme? 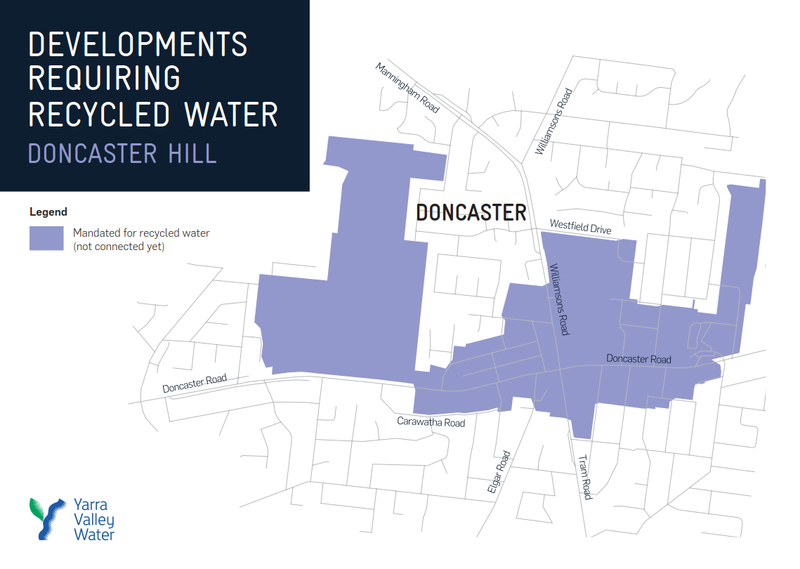 We are planning to provide recycled water to over 5,000 new properties in the Doncaster Hill area, in and around the Westfield Doncaster shopping centre. It’s an important part of our commitment to save precious drinking water for Melbourne’s growing population, in an increasingly hot and dry climate. To produce enough recycled water to supply the Doncaster Hill area, Yarra Valley Water must build a Recycled Water Treatment Plant somewhere nearby and close to a major sewer. While we understand the technical aspects of what would be a suitable location for a treatment plant, we also need to understand the views and opinions of people in the community about each of the potential treatment plant locations. To get these insights, we established a three-person Independent Panel, chaired by Rob Gell. During September 2017, the Independent Panel oversaw a public deliberation process to identify the best site for the treatment plant that will eventually produce the recycled water. Further feedback was accepted up until 13 October 2017. Over 1,500 people were involved through the deliberative process. The Independent Panel reviewed the feedback and provided a Report to Yarra Valley Water about what they heard, and a recommendation about where the treatment plant should be located. Following the community deliberation with over 1,500 people, the Independent Panel identified Eram Park as the preferred site for a new Recycled Water Treatment Plant. The Independent Panel found that of the five sites under consideration, Eram Park was the furthest from homes, would have the lowest impact on the local community and was preferred by a majority of residents, while receiving the lowest number of objections as compared to other sites. As well as providing recycled water to over 5,000 new homes the Panel recommended that the water could be used to drought proof local parks, sports grounds and other community assets nearby. The Panel also recommended exploring options for minimising impacts to amenity such as locating the Plant underground. Where will the recycled water be used? By using recycled water for flushing toilets, washing clothes, watering gardens and car washing, we can reduce drinking water use by up to 25%. This is a saving of approximately 2.5 million litres every week. You can read the EPA and DHHS information about recycled water, how it is treated and how it can be used, online at www.epa.vic.gov.au and www2.health.vic.gov.au. The treatment plant site will consist of a building that will contain pumps to take sewage from the sewer, and tanks to hold and treat it. There will also be other pumps at the site that will pump the treated water to households. Outside the building, there will be a tank to store the treated water prior to its delivery via an underground pipe to the properties at Doncaster Hill. To ensure any nearby residents or businesses are not affected by the plant’s operations, the location and design of the treatment plant must meet strict planning and environmental requirements. Sewers contain gases. Some examples are hydrogen sulphide, ammonia, methane, carbon monoxide and nitrogen oxides. The gases form in the sewer from the breakdown of the sewage. They will need to be treated to meet the strict limits set by the EPA to ensure the treatment plant doesn’t release odours and for the safety of people who operate and maintain these facilities. As well as treating the sewage, these chemicals will also be used for cleaning equipment. None of these chemicals are flammable and would be in a liquid form contained in a dedicated closed storage area. The treatment plant building itself will be roughly the size of a traditional house block (750 square metres). One of the options for is for the Plant to be set underground. We’ll construct the building to fit in with the surrounding area. One of the options is for the Plant to be set underground. There will also be people visiting the site on an ongoing basis for maintenance and chemical deliveries. We need to be able to supply recycled water at a reasonable cost and so it will need to be in close proximity to the area being serviced. The major sewage treatment plants in Melbourne are located at Bangholme and Werribee, a long way from Yarra Valley Water’s area of operation. Pumping recycled water back from these locations to Yarra Valley Water’s area would be extremely expensive and would produce much more greenhouse gases (a key contributor to climate change) compared to producing the recycled water locally. 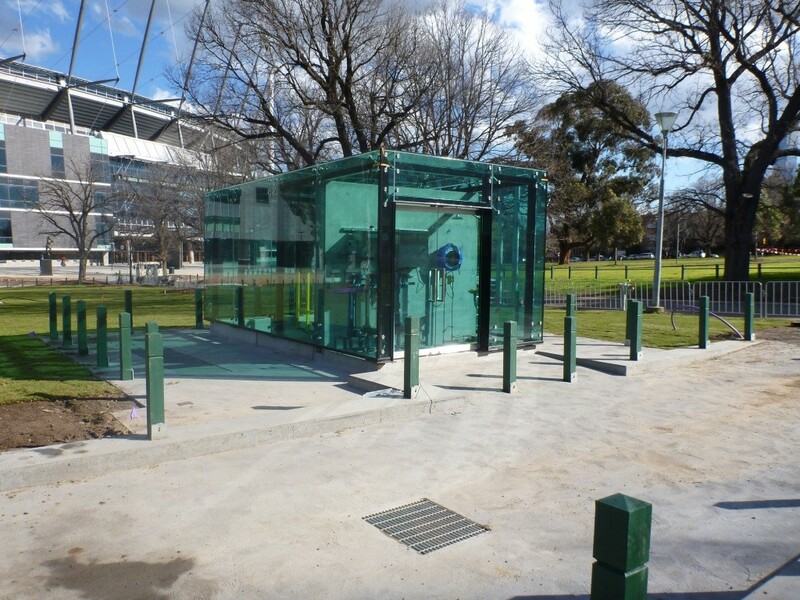 An underground treatment plant using the same technology as proposed is now working in Yarra Park near the Melbourne Cricket Ground. This is operated by the Melbourne Cricket Club. There are other examples of these kinds of treatment plants of varying sizes around Victoria and in other states. The desalination plant can supply up to 150 billion litres of water per year - about one third of Melbourne’s annual water consumption. The State Government’s Water Plan Water for Victoria stresses the importance in a drying climate of not being reliant on one source of water – to ensure we have a diverse and cost effective range of water sources for the future. Yarra Valley Water’s Recycled Water Scheme provides one of those alternative water sources. We learned that people were not opposed to the idea of introducing recycled water to the area but had clear views about where a treatment plant should not be located. We engaged an Independent Panel to conduct a deliberative engagement process for us. This involved presenting five possible sites, each with their own specific attributes, for people to consider and provide their views about the most suitable location. During September 2017, the Independent Panel oversaw a public deliberation process to identify the best site for the treatment plant that will eventually produce the recycled water. More than 1,500 people were involved throughout the deliberative process. The Independent Panel has provided their feedback in a report to Yarra Valley Water about what they heard, and a recommendation about where the treatment plant should be located. The views captured through the process have played an important part in choosing the site location. Did Yarra Valley Water have a view about the best place to put a treatment plant like this? Through the deliberative process the Independent Panel worked with people in the local community to find an acceptable location that will also enable the treatment plant to be able to operate effectively. In the materials we provided for the deliberative process we indicated the pros and cons of each of the potential sites from our perspective. We know that finding suitable locations for some new infrastructure that require a bit of land can be more challenging, particularly in highly urbanised areas. We’ve provided these examples to give you an idea of how they look and how they have been designed to fit into the local surrounds. 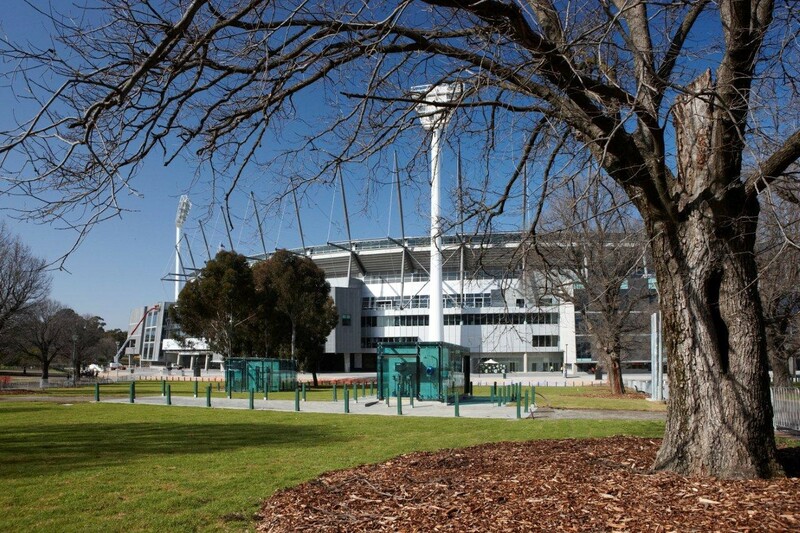 This recycled water treatment plant produces more than 180 million litres of water each year, reducing the Melbourne Cricket Club’s use of drinking water by 50 per cent. As one of the first of its type in Victoria, the plant has been built underground. We see an opportunity to design a treatment plant that is harmonious with the landscape, and will add benefit to the local community. The Independent Panel has also recommended considering locating the Recycled Water Treatment Plant underground like the MCG Plant. The scheme will have no impact on customer bills. This project is about the sustainable growth of Melbourne. Decisions about the value, needs and merits of these kinds of projects are made by relevant government organisations (state and local) on behalf of the wider community. Our commitment is to make the conversation with people as broad and inclusive as we can, to enable us to make the best decision possible - one that is broadly supported by most people. Where recycled water is unavailable, we supply drinking water. Why didn’t you build the recycled water treatment plant before the apartments were built? As the area will be progressively developed over the next 20 years and for maximum economic efficiency the treatment plant needs to be completed in the next few years. To provide the necessary certainty for developers about plumbing requirements, Yarra Valley Water mandated the area as a recycled water area to support Council’s planning objectives. This was done to provide clear expectations for developers about constructing buildings with the right plumbing. When we complete consultation with stakeholders to determine the future of the project, we would then do the necessary design work and seek the required council and EPA approvals. Typically, the time it takes to plan, design, construct and commission a facility could take at least three years. With a project like this, we expect construction works to take approximately 18 months. During this time, we would work with any nearby residents or businesses to minimise the impact, but some disruption may be unavoidable. The main disruption is usually from construction noise and increased construction traffic. Sometime we need to temporarily close roads as we construct the pipelines to service the properties. No. The Recycled Water Treatment Plant will be remotely monitored 24 hours per day, but staff will need to visit the site daily. There will also be monthly deliveries which will require truck access. If you have any questions about the project, you can contact our project team during business hours on 9872 2696 or email [email protected].